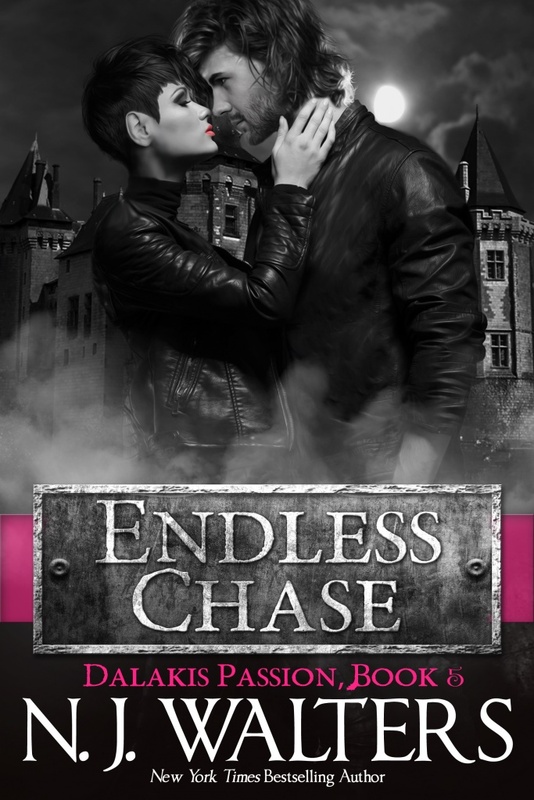 Endless Chase by N. J. Walters is available now! With his life in disarray, Chase has retreated to the remote castle of the Dalakis clan to sort things out in isolation, but instead is inexplicably drawn to the mysterious Katya. Instantly spellbound by her tough warrior exterior and compelling beauty, Chase finds that Katya captivates him like no other woman has before—until he learns of her dark intent and is torn between his own needs and those of his family. Because Katya is enmeshed in a world of lies and deceptions, and has brought that world to the Dalakis doorstep. As their unquenchable passion spirals to incredible sensual heights, Chase and Katya will be forced to make a choice, one that could destroy the Dalakis clan for all time or unite the desperate young lovers for eternity . . . The final book in the sizzling Dalakis Passion vampire romance series by New York Times and USA Today bestselling author N. J. Walters!